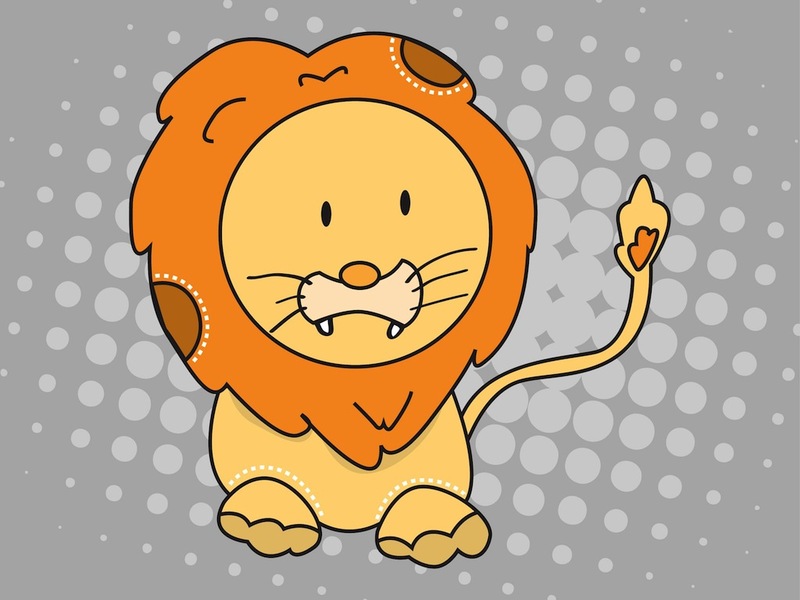 Animal vector graphics of a cartoon character. Adorable big cat graphics on bright colors and cute cartoon or comic book style. Lion with big head and mane and small body. Free vector illustration for all kinds of brand mascots, cartoon and game characters, decals, stickers and company logos projects. Tags: Animal, Big Cat, Character, Comic Book, Kids, Mascot, Nature.